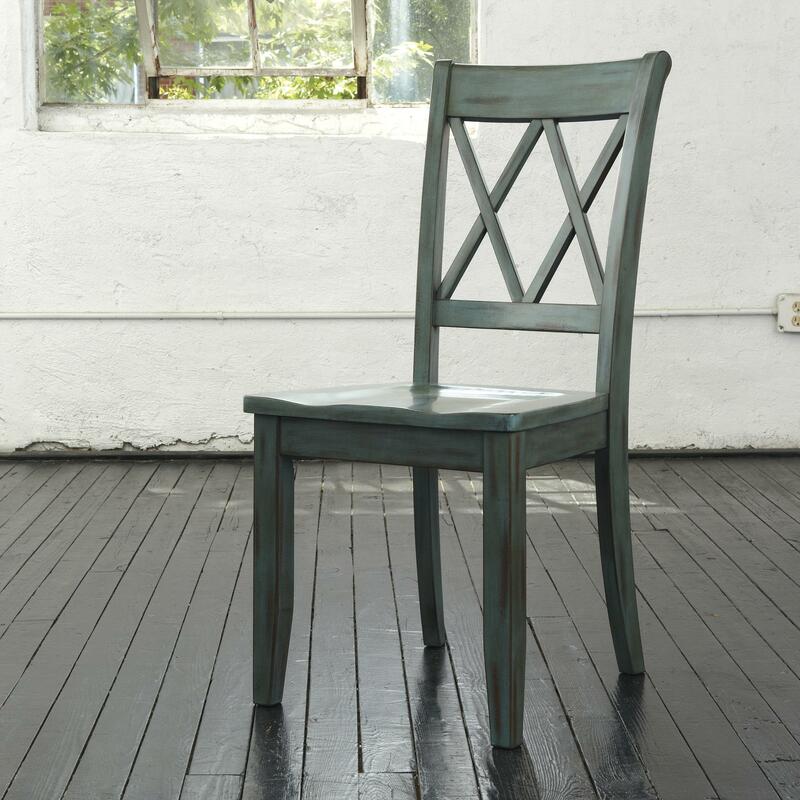 This antique blue/green finish dining chair is designed to make a statement in your dining room. Constructed of hardwood solids, it features a diamond motif on the back rest, a contoured wood seat for comfort, and simple tapered wood legs. The Mestler Antique Blue/Green Dining Room Side Chair by Signature Design by Ashley at Furniture Fair - North Carolina in the Jacksonville, Greenville, Goldsboro, New Bern, Rocky Mount, Wilmington NC area. Product availability may vary. Contact us for the most current availability on this product.